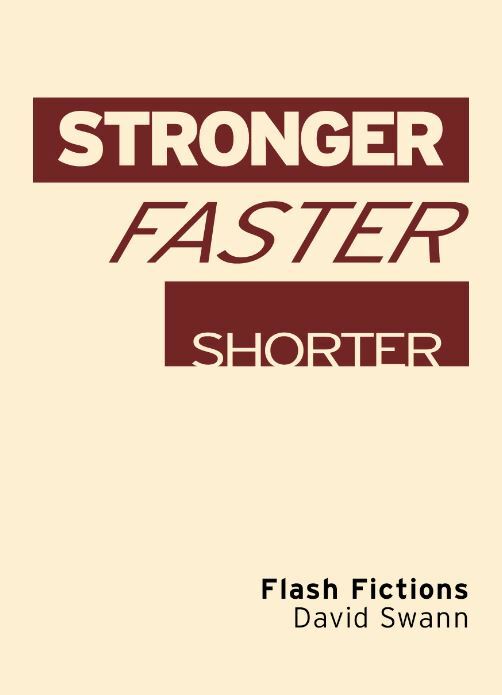 Stronger Faster Shorter is published as an A5-sized chapbook. It is the first in a series of chapbooks of quality flash fiction published by Flash: The International Short-Short Story Press. Imagine you’ve returned from a war to find the soldiers you killed wandering the streets of your home town and sleeping with all the girls you fancy. The poor old pigeons aren’t having it much easier. They’ve flown back from overseas to discover their coop bolted shut. Word is, the champion fancier has gone down with an allergy to his flock. Word is, the birds’ homing has brought them somewhere strange. But love’s hard to find when there’s so much fighting. Ask the Iranian with the Frank Sinatra fixation who you’ve just dug up from a flowerbed. Or the fundraisers knocking each other’s lights out at the Annual Party for the Association of Parents of Children with Hand and Arm Deficiencies. They’re in the wars, for sure. But these people go on dreaming of peace. Take the lonely fruit-picker, living in a caravan far from home. If she opens her hand now, a man will drop a flower from the sky and it will fall into her grasp… Then he’ll fire hot air into his balloon and rise again. And he’ll look down and agree that it’s strange to see your home town like this, that distance makes him fond of its wrecked old streets. But whenever he lands, he looks at the sky again. And he loves the fruit-picker most when he can’t quite reach her. To see the Contents page, click here. David Swann was born four doors up the street from the novelist Jeanette Winterson, who scared him stiff with spooky stories. Later, he was given the even more frightening task of reporting on Accrington Stanley’s football matches for the local newspaper. After a three-year stint as a journalist in the Netherlands, he returned to England to take an MA in Creative Writing at Lancaster University, which he passed with Distinction. From 1996 to 1997, he was Writer in Residence at H.M.P. Nottingham Prison. A book based on his experiences in the jail, The Privilege of Rain (Waterloo Press, 2010), was shortlisted for the Ted Hughes Award for New Work in Poetry. He is currently Senior Lecturer in the Department of English and Creative Writing at the University of Chichester, where he teaches modules on fiction, poetry, and screenwriting. Swann’s short stories and poems have been widely published and won many awards, including six successes at the Bridport Prize and two in the National Poetry Competition. His debut short-story collection, The Last Days of Johnny North, was published by Elastic Press in 2006. In 2013, Swann served as judge for the Bridport Prize’s international flash-fiction competition. Please note that the following prices include a discount of 25% exclusively for members of the International Flash Fiction Association. For further information and to join the Association, click on this link and select an International Flash Fiction Association membership. If you are not a member, please purchase Stronger Faster Shorter at the full price by clicking on this link. Order online by selecting the appropriate option below (depending on your location) and clicking "add to cart". Please note that postage/international delivery is included in the price.